Okay. 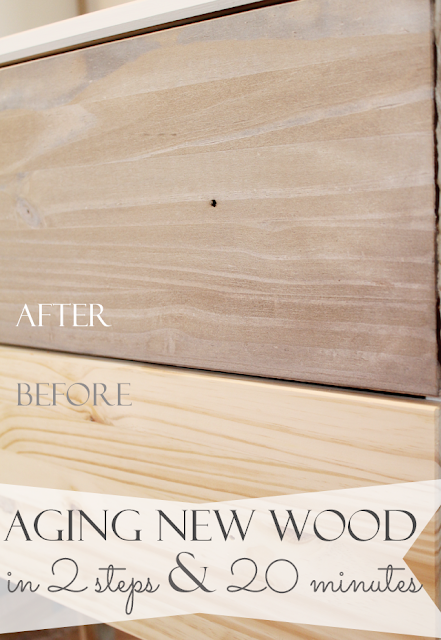 So back to the real topic of discussion ;) How to get new wood looking old. 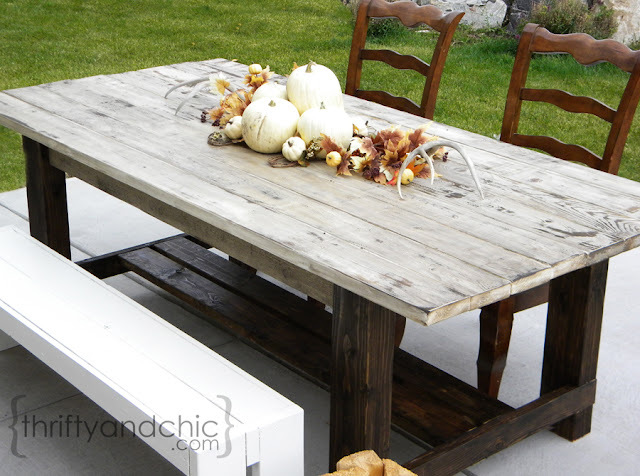 I had a vision for my farmhouse table when I was making it. I knew exactly how I wanted it to look, but didn't know how to get it there. So I almost just caved in and wanted to paint it all white. Which I still think would have looked great. Maybe distress it a little around the edges. But then the hubs wanted it all a dark brown. I told him that looks too much like our current table, and since eventually this table will move inside, I didn't want that. The whole purpose of making the table was to make it a little lighter colored since I didn't like the dark brown we currently had. I almost wanted it grey. But not real grey, a weathered grey. So I started to experiment getting that weathered grey. I know there is grey wood stain, but I was too lazy to go to the store and find it lol. I figured that would be a last case scenario. So I was going to use what I had on hand and come up with something -dark walnut stain, chestnut stain, and white paint. So I took a couple of approaches that I wasn't completely thrilled about. Staining and then white washing. Painting and then staining. White washing and then staining. And got the perfect look. A perfect distressed weathered greyish brownish whitish finish. And on a plus, the hubs loved it too. 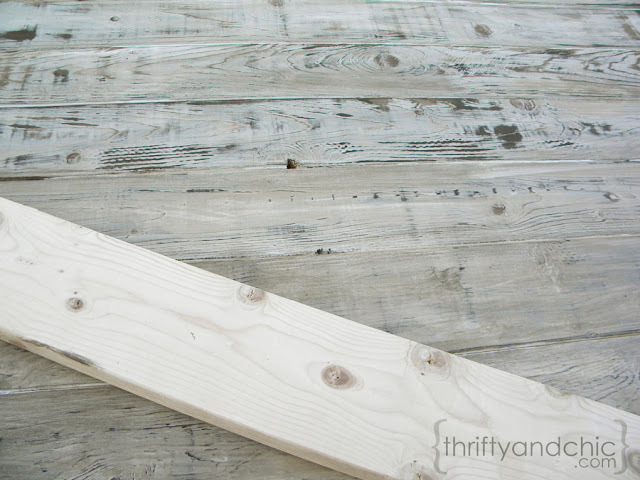 Sand your wood ( I used pine boards for mine) . Try to get out the weird manmade textures. There was a ton on mine, so I had to sand pretty good. Also sand the corners and edges to make them less jagged. This last part doesn't have to do with the finish, but it helps :) I used 120 medium grit paper for this process. Don't over sand and get rid of all the wood grain because you'll be sanding again later and need those parts that are somewhat still 'raised'. Paint the wood with one coat of white paint, very lightly...letting a lot of it absorb into the wood. I used White Linen from Glidden, but any white paint would work. The paint I used was a latex paint and in semi-gloss. Let it dry. Sand again.This time I used a paint stripping sandpaper in 80 grit. When sanding this time around, just sand enough that some wood shows through on the higher surfaces, but still leave enough white paint behind. There's really no right way to do this. Just start sanding and remember that the wood that shows through will be holding the most stain, so if you want more brown, then sand a lot, if you want more white, then sand a little. Stain. I used Minwax's dark walnut, put it on a rag, and just went up and down each slat of wood until I got the look I wanted. If I wanted it darker in some places, I would put another coat on. Seal. I used polycrylic to seal mine. And there you have it! 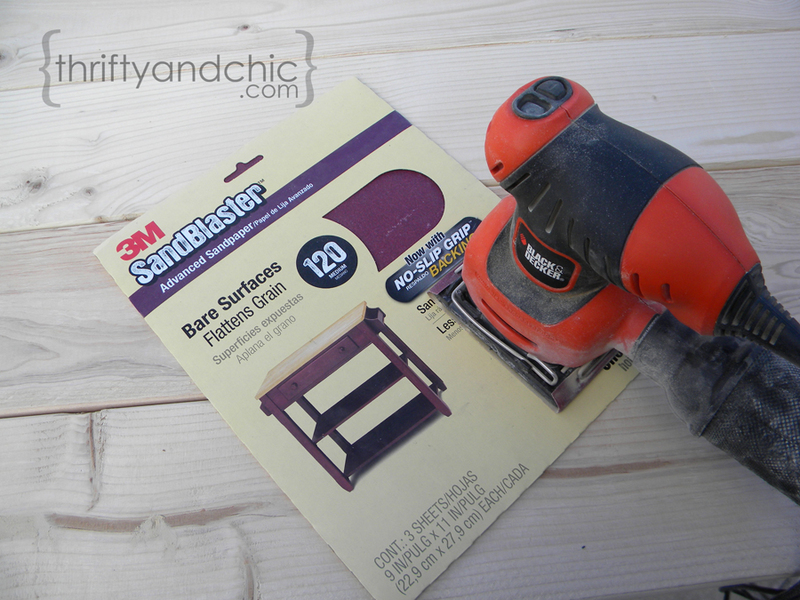 How to get new wood looking old in pretty much 4 easy steps. 5 steps if you want to seal it. I wanted to do the whole table this finish, but when it got down to it -staining, painting, sanding, staining and bending down while 7 1/2 months pregnant didn't sound so fun. So for the base of the table, I used the walnut stain. Simple. Got the hubs to sand the legs a little. Then just one coat of stain and sealer and done. I think the contrast from the top really works well, and it pulls out those darker hues. 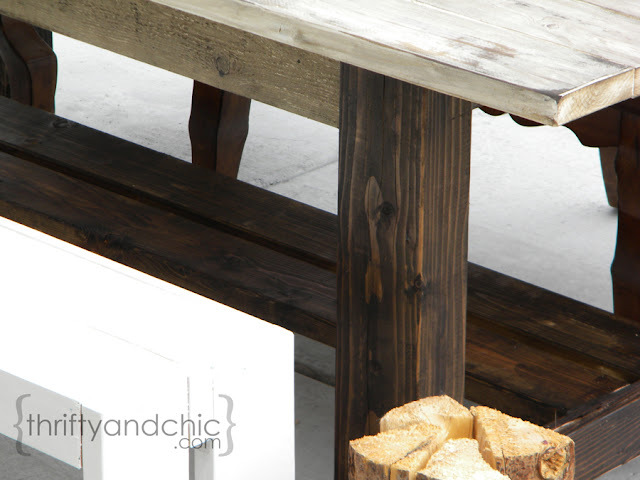 When staining, make sure you work it in really well on the edges of the wood to pull that distressed and very used look. You can kind of see that in the picture above and below. 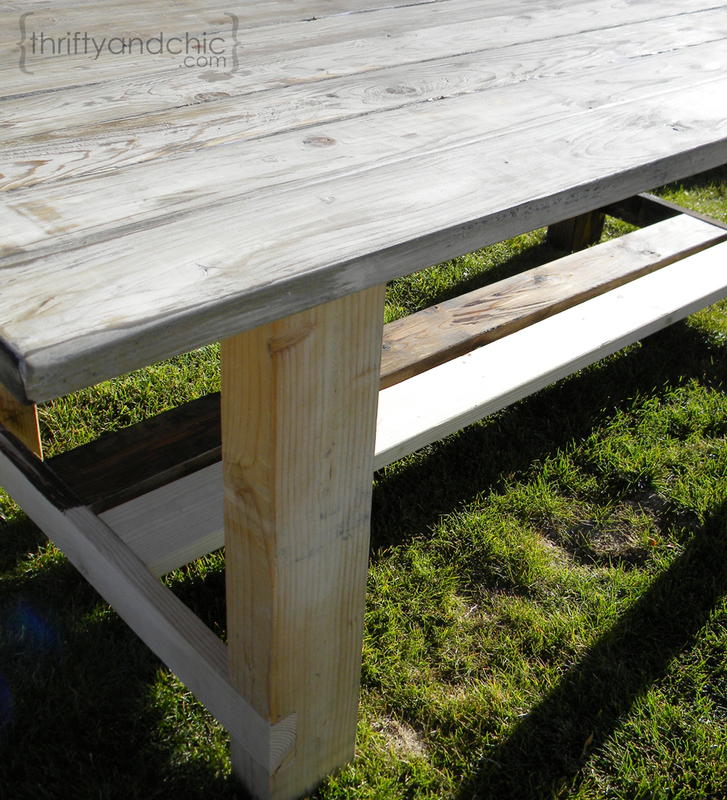 You can find the plans on how to make this farmhouse table by clicking here. Until next time! 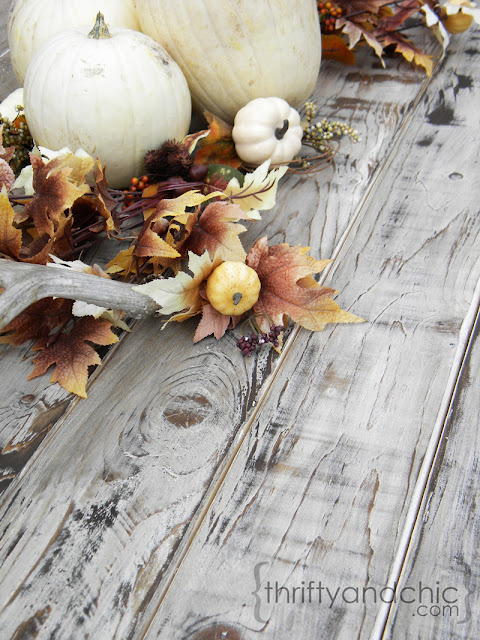 Have a great Halloween and keep safe! Here's another great way to "weather" wood, no sanding required :) Just a little different technique! So pretty! We have the exact same table, but with white on the bottom and dark stain on the top. I love yours in reverse! Thanks for the tips on the weathered look. pregnant halloween costumes are hard! lol! Popped over from HOH link party- new follower! amazing! That wood looks so perfectly weathered! 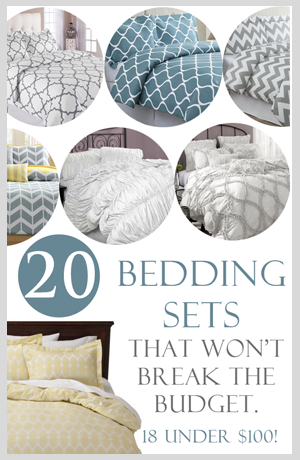 thanks for sharing, pinning this! Looks great! I really love your ideas and your blog. Kinda wish you'd share a photo of you in your Halloween costume, though....! That looks amazing! I tried a few different techniques for my dining room table but this one is genius. Definitely pinning! I find that staining is a lot easier than painting, so I stained them. Thank you for posting your tutorial and your table turned out beautiful! 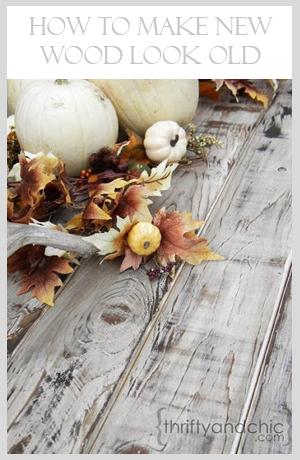 I've got his linked to my weathered wood post too today, well done! This is exactly what I have been looking for. Thank you so much for sharing! Danielle B. at Welcome Company. I LOVE this look. I am book marking this page so I can try it myself one day. I have a farmouse table table I built a few years ago and it needs a makeover. I love this look. Gorgeous! 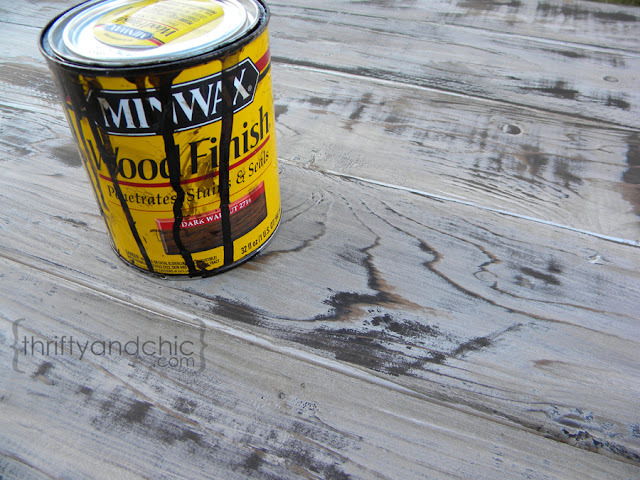 I just tried this and my latex paint with walnut minwax stain came out hideous. Did you paint the barewood and THEN paint it white and stain again after sanding? 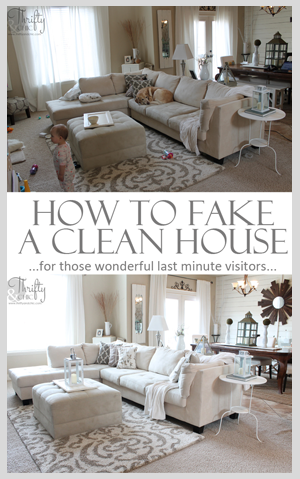 Or paint, sand, stain only? My white paint absorbed the stain and I had to wipe off, which gave it more of a whitewash with dirty water effect, lol. What kind of wood did you use? I'm wondering if maybe the pine (common board at Home Depot) just doesnt have enough grain movement or isnt raised enough. hmmmm....thanks! The stain you used, was it oil based or water based? How thick was the paint, since you did only one coat? I'm not sure about the stain, I'm assuming it is oil since it's a bugger to get off of anything. The paint was just enough to cover the color of the wood, you can somewhat see the thickness in the pictures if you look hard. It's absolutely beautiful! Pinned it! I will answer your questions, I just do it through email so it never shows up on here. Thanks for sharing your creation. I just redid my bar with your idea. Just tried this and now I'm bawling by my custom made quad bunk beds. It looks so awful. 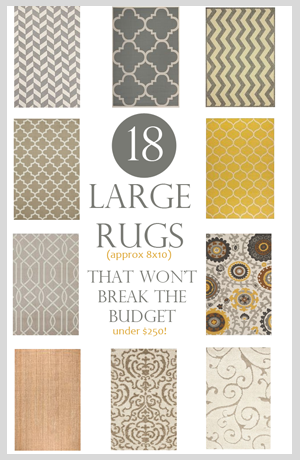 I can't believe I didn't try this on a scrap piece first. Your table looks amazing but mine is just a muddy mess. One thing I learned since my husband first started doing it"wrong" is that it looks a thousand times better to stain your sanded wood and then lightly brush a gray paint over it. Plus you wouldn't have to sand in between coats. Good luck everyone! I am so sorry to hear this Karen! It may work differently with different woods..and of course, techniques from person to person will vary no matter what. I'll add a disclosure in my post to make sure you test it on a scrap piece first. Thank you and I hope it ends up looking great in the end! what wood is your table made out of? 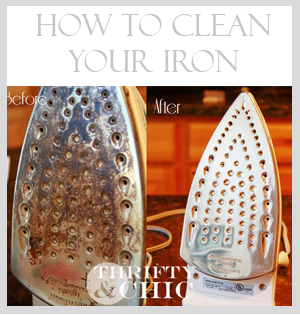 Thanks for posting this tutorial. I'll be making some "vintage" frames for my upcoming wedding. My sample proof of concept piece came out just like yours so will tackle the frames soon. WHERE oh where can I get a copy of that construction pattern / build sheet for the table?? Very cool!! Hi Alicia, I tried this technique on a project of mine, and it looks great, much like your pictures. I used Glidden latex-based paint, followed by Minwax stain. The problem is that the stain doesn't seem to want to stick to the paint, so it rubs off on my hands any time I touch the project. Any tips for how to solve this? I haven't applied polycrylic yet, do you think that would solve the problem? I am having the oposite problem. I am using a flat white interior latex paint and the oil stain sticks to exposed wood, but the stain also sticks to the paint making everything a light purple/plum in color. Mark, what latex finish paint are you using? Flat, semi gloss, High gloss? I am going to try a latex high gloss (waiting for it to dry now). I will then sand it and apply the dark walnut oil based stain and see how it turns out. I am thinking there is somthing about the paint finish that affects the total color of the wood and how well it sticks/doesn't stick to the sanded paint and exposed wood. I will post my findings as soon as I can. I am about todo this technique on a wall in my house (the old 70's fake wood paneling) it is already rough textured. I also would like to know the gloss of the paint-- I would think that a flat would just absorb the stain and a high gloss would just allow the stain to wipe off. Please reply with the finish of the paint. "... but when it got down to it -staining, painting, sanding, staining and bending down while 7 1/2 months pregnant..."
which mentions staining twice, but only once in the step-by-step instructions. I think your effect is awesome—it's exactly what I'm looking for—but I don't have a scrap of my project wood to test it on, so I need to be careful! Thanks! 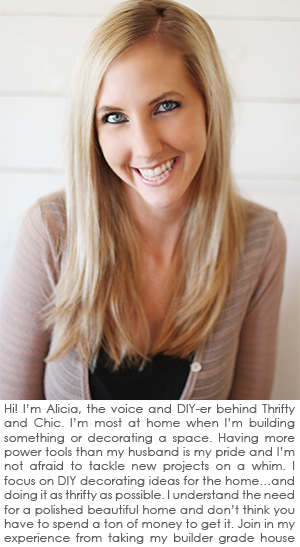 Hi Alicia, I love your website! 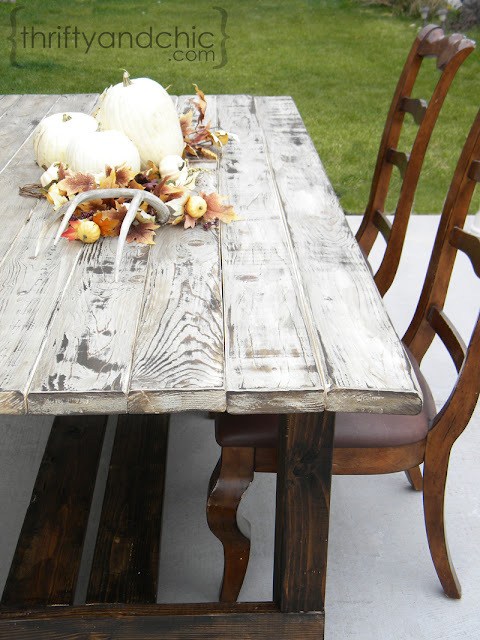 I purchased a farmhouse table that was already stained, but wanted the top to have a weathered/driftwood look. So....I started with white chalk paint, then proceeded with your technique. It turned out AWESOME! 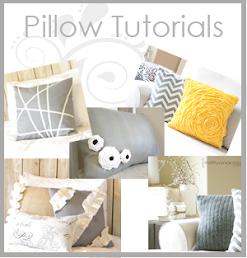 Thanks for the DIY guide! Hi Alicia, I love the table! 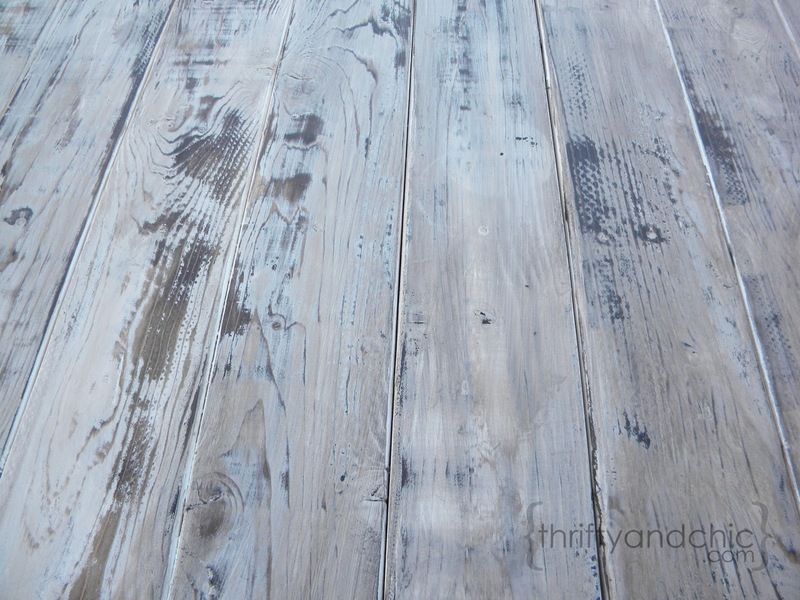 I want the top of my desk to have the same white/grey weathered look, however, I think that the wood is already stained (it's a chestnut colour) , could I still just follow this process? 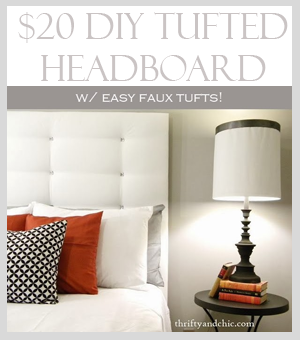 Hi, I have been trying to get this look on my pine cabinet. I just wanted to know that the pine you have used, before painting was the surface smooth? Because when I stained my cabinet the grains are not showing? Is is cause my grains are not 'raised'? Table came out beautiful..thanks for sharing..using one coat of paint is really a bonus.. Outstanding! 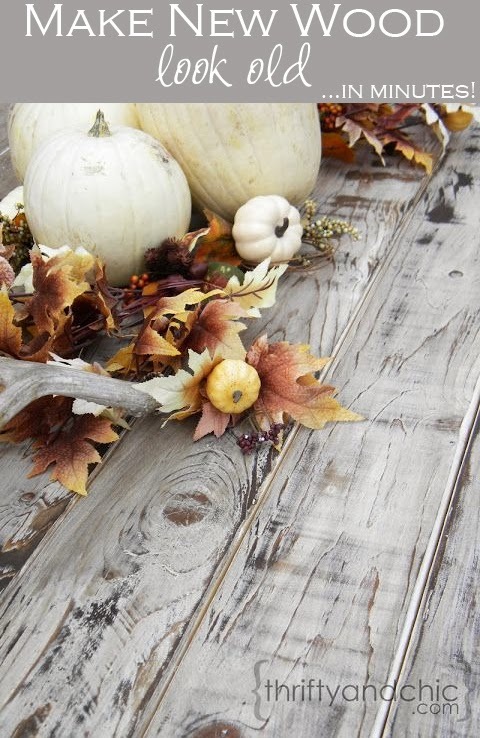 Thanks for the idea of blending distressed stained and painted...I'm on it. Just used this technique on our coffee table that my husband built. Turned out gorgeous! I'm so glad to hear that, Rita! I just built an interior barn door and wanted this look. I tried this finish as you described (on a scrap, luckily) and mine looked terrible- brown streaks over white paint. My wife said that she saw a guy doing a wall like this where she works and he was doing just the opposite- stained the wood first, let it dry, applied white paint, then immediately wiped the paint off until he got the desired look. I tried it (again on scraps) and it came out great! I used the Minwax dark walnut with a latex semi gloss paint. I tried several different ways and it looked best if I just put the paint on parts of the stained wood before wiping off (not completely covering the entire piece with paint over the stain). It gave more varied shades of grey with the brown and no sanding was required in between. I plan to put polyurethane over the finished product and add a border trim with just the walnut stain finish. I don't know if it is just wood variation between what I used and what you used or what, but this technique worked better for me. I do appreciate your post though, as it helped me to eventually get the look that I wanted. Hi Alicia! I know this question has been asked a lot but since you answer everyone by email, I have yet to hear your answer! 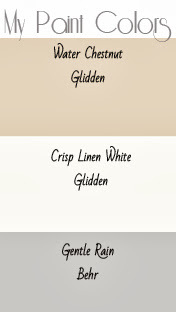 Is the Glidden White Linen paint you used a flat, satin or gloss? Thanks! Thank you, I am appreciated. Oh my goodness that is gorgeous!!! Thank you for sharing. The walnut on the bottom really made that amazing top stand out more. Love, love, love!!! Hi, Really nice ideas and questions and answers, but I have a new question.. can I use white acrylic paint? coz I don't understand what is a latex paint. 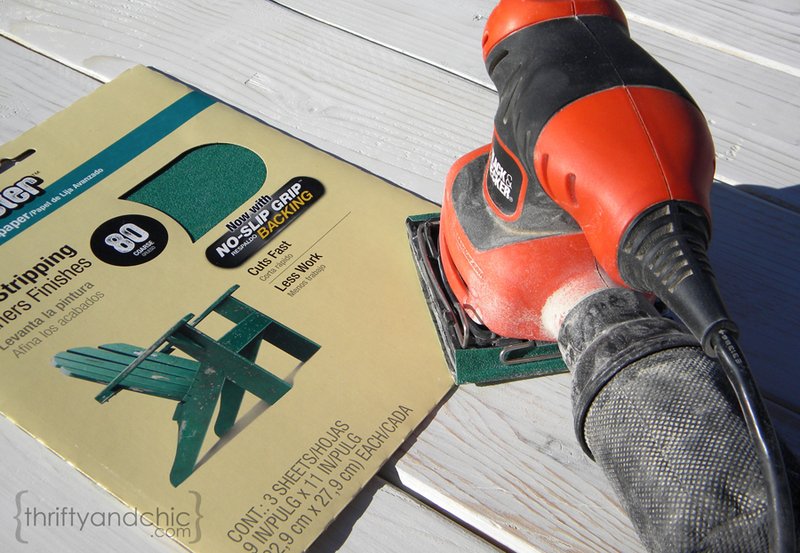 How did you put the stain on after painting and sanding?? With a paint brush? With a rag? All over everything or just here and there?